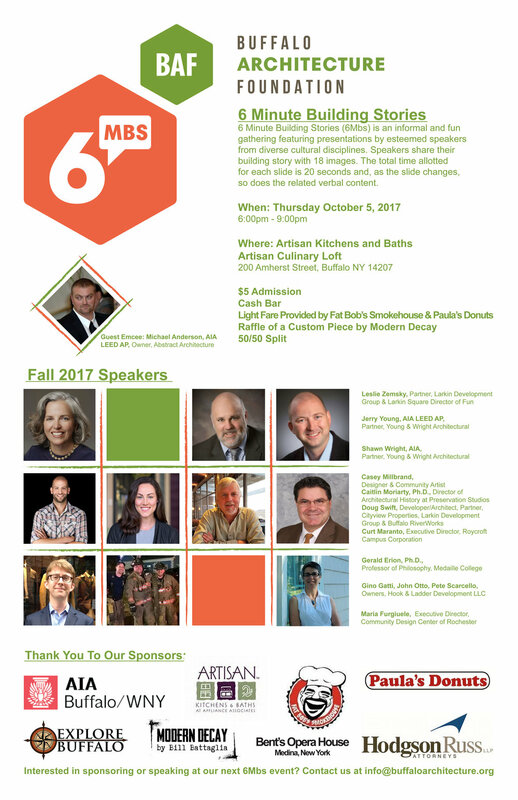 6 Minute Building Stories (6Mbs) is an informal and fun gathering featuring presentations by esteemed speakers from diverse cultural disciplines. Speakers share their building story with 18 images. The total time allotted for each slide is 20 seconds and, as the slide changes, so does the related verbal content. $5 admission available at the door. For more information, visit the Buffalo Architecture Foundation's website.